Today I was at the local mall and a friend of mine spotted this! 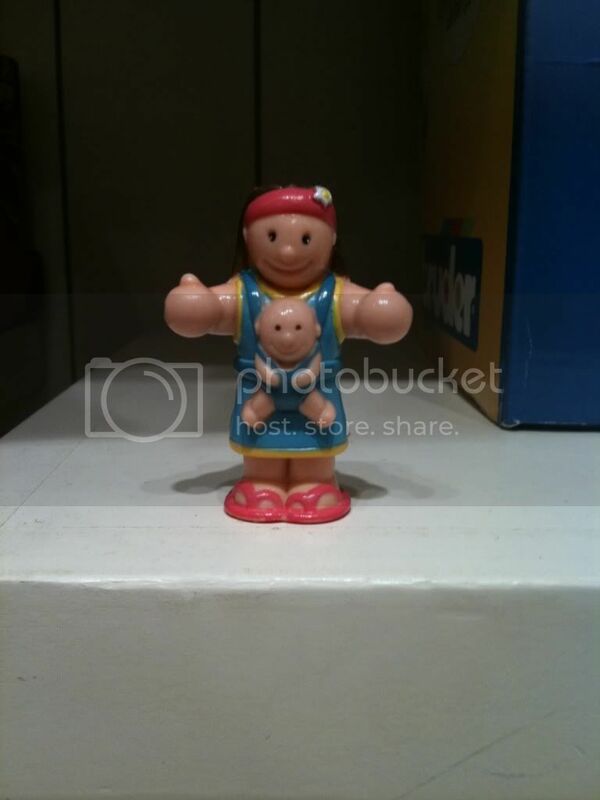 Woman wearing baby, out of box. Although not safe, she is not only a babywearing mom, she is a motorcycle mama! 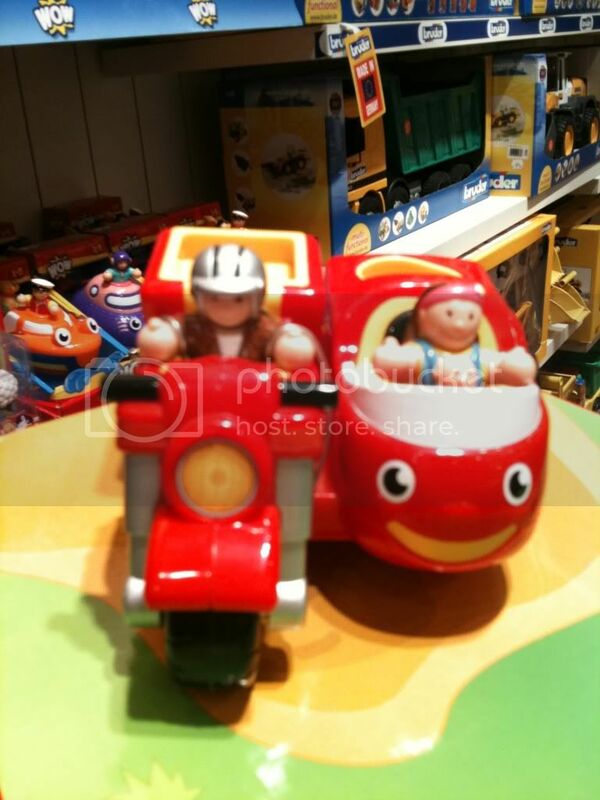 Apparently, this toy is called WOW Toys Motorbike Max and can be found on Amazon, among other places. Unfortunately it only has 1 review but the customer loved it! I played with a few other Wow toys at the store and they have an awesome friction feature. But of course, the coolest thing, the Mama is babywearing! It seems odd to have a babywearing mama riding in a side car, but hey, whatever! 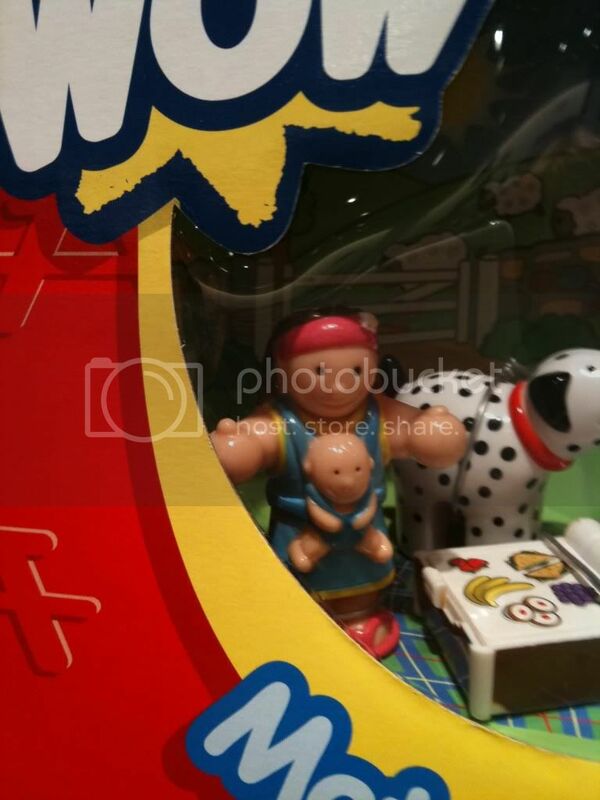 The toy is a little pricey at 25 bucks on sale, but it looks like it is a quality made product. My Top Nine Posts of 2009!